In 2017, The Arbors sold a total of 7 condos. The sales increased by 3 condos compared to 2016. Offers that were both above and below listing price were accepted, displaying equality for both buyers and sellers. $312,000. 4476 Hillside Ct., Ann Arbor. 1553 sq. ft., + 730 in finished lower level, 4 bedrooms and 3.1 baths. $309,500. 4329 Pine Ridge Ct., Ann Arbor. 1553 sq. ft., + 678 in finished lower level, 3 bedrooms and 2.1 baths. $268,888. 4269 Pine Ridge Ct., Ann Arbor. 1386 sq. ft., + 700 in finished lower level, 2 bedrooms and 2.1 baths. $268,000. 4308 Pine Ridge Ct., Ann Arbor. 1280 sq. 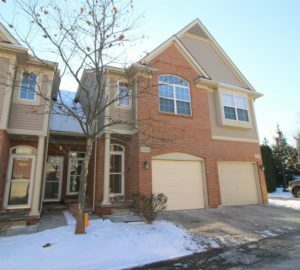 ft., + 600 in finished lower level, 3 bedrooms and 3.0 baths. $265,000. 4332 Hillside Dr. #32, Ann Arbor. 1286 sq. ft., + 800 in finished lower level, 2 bedrooms and 2.1 baths. $257,500. 4374 Hillside Dr. #26, Ann Arbor. 1286 sq. ft., + 600 in finished lower level, 2 bedrooms and 2.1 baths. $240,000. 4463 Hillside Ct., Ann Arbor. 1142 sq. ft., + 1000 in finished lower level, 3 bedrooms and 3.0 baths. Currently, the average sale price of condos at The Arbors is $274,413, which is a decrease of 3% compared to the ASP in 2016. The average price per square foot for the 7 condos sold is $203.00, which is an increase in comparison to the A$/SF of $199.00 in 2016. For more details and information about The Arbors, contact the condo specialists with The Bouma Group at (734)761-3060 or email info@bouma.com. View the previous market report for The Arbors here! 2,179 sq feet of living space with 2 bedrooms and 2 and a half bathrooms. Enter into the unit with your own private front entrance, or through your 2 car attached garage. Huge open concept living, dining and kitchen area. The kitchen has newer black appliances, granite counters and a breakfast bar. Each of the bedrooms has it’s own private bathroom. The master suite bathroom has dual sinks and a jetted tub and separate shower. There is a large deck to enjoy during the warmer months. Schedule your private showing today for 3132 Asher Rd., Ann Arbor today by contacting The Bouma Group, Realtors at 734-761-3060 or email info@bouma.com. 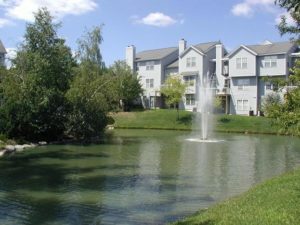 View photos and amenities for Berkshire Creek Condominium.